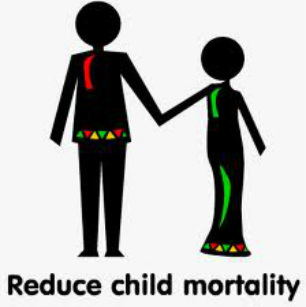 Reducing Child Mortality is the goal to reduce the death rate by two thirds of the children under the age of five. More than 10 million children die each year from preventable illness. The main illnesses are HIV/AIDS, malaria, diarrhea, pneumonia, measles and acute respiratory infections. 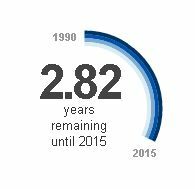 Mortality rates for children under five have dropped by 15% since 1990. Five in nine developing regions have reduced the under-five mortality rate by 50%. In 20 years, the number of deaths in children under the age of 5 decreased from 12.4 million.At our current rate the world will not achieve this goal by 2015. - Access to reproductive health care needs to be expanded. -Distribute vitamin supplements into countries without functioning healthcare systems. - Distribute insecticide-treated nets to families in high area risk for malaria and make sure nets are retreated each year. -Increase the number of health care providers in undeserved populations, particularly rural countries. Globally, deaths within the first month of life fell from 32 per 1,000 live births in 1990 to 23 in 2010. 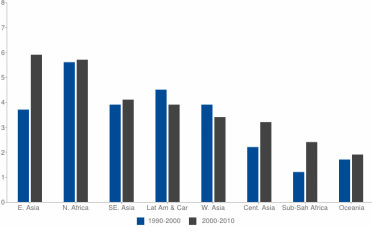 Sub- Saharan Africa has doubled its average rate of child mortality reduction from 1.2 percent a year during 1990-2000, to 2.4 percent during 2000-2010. Sub-Saharan Africa suffers though a higher neonatal mortality rate (35 deaths per 1,000 live births in 2010) than any other region, and has recorded the least improvement over the last two decades. Sub-Saharan Africa had a 85 percent drop in measles deaths between 2000 and 2010. Projects: One youth project that was made to help with this goal is called Infant Mortality Youth Project by the Saskatchewan Prevention Institute. The prevention Institute was formed in 1980 and is the only one in Canada. Prevention programs and services are provided to parents, future parents, students, professionals, community groups, and general public. With this project you will help to develop a new prevention activity through the use of social media, campaigns, educational resources, information sessions or interactive courses.